Some of the best compact SUVs on the market today are the redesigned for 2017 Honda CR-V and the Mazda CX-5. Both perform well, offer a spacious cabin, and have a similar price tag. But, getting down to brass tacks, which one is ultimately better? Before you hit the dealership, check out our comparison guide. We'll help you decide which compact SUV is right for you. The Honda CR-V seats five in two row, with plenty of room to stretch out in both the front and back seats. The sleek, clutter-free design will appeal to most drivers, with soft-touch plastics and wood trim providing a luxury air in some models. The Honda CR-V really shines in cargo space, in fact it leads its class, with 39 cubic feet that expands to 76 cubic feet when the back seat folds down. That means this "compact SUV sits comfortably in the "help-your-friends-move" category. The Mazda CX-5 also has two rows and gives front seat occupants plenty of space, but those in the back might be cramped unless they are kids. The CX-5 has a classy interior, so no complaints there. But the cargo space can't hold a candle to that of the CR-V. We're looking at 31 cubic feet that expands to a relatively disappointing 59 cubic feet with the back row pushed down. If you haul a lot of gear, groceries, or luggage (or would like to), the Honda CR-V is better. While both vehicles have a host of tech features you'll love, neither Honda or Mazda are known for their fantastic infotainment systems. Owners of the CR-V don't need to worry if they spring for the Apple CarPlay or Android Auto features, since they can use their phone's navigation system. But if they don't, the infotainment system will likely leave much to be desired. Thankfully, though, Honda brought back the traditional knob for volume and buttons for climate settings, further compensating for the frustratingly slow touch screen. The MazdaConnect infotainment system has similar issues with responsiveness and user experience, but that frustration can't be fixed with an optional Apple CarPlay or Android Auto feature, because Mazda doesn't offer them at all. Instead, we get a four-speaker sound system, two USB ports, Bluetooth, HD Radio, push-button start, 7-inch touch-screen, voice-command activation, and rearview camera. You can opt for a few more options than in the Honda as well. The 2017 Honda CR-V gets better gas mileage, at 27 city, 33 highway miles per gallon. 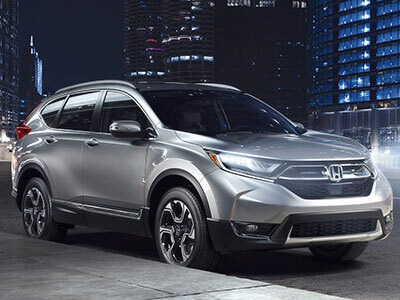 The CR-V performs as well or better than most in its class, with good acceleration, superb handling, responsive brakes, and a ride that glides over even rough roads. 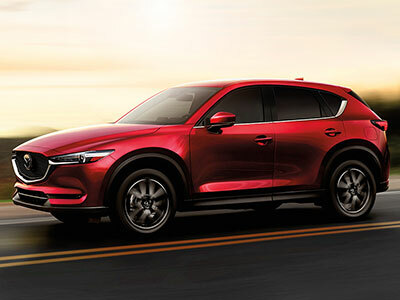 The Mazda CX-5 is sporty and fun to drive. But with that extra power comes a tradeoff: fuel economy. The Mazda gets 24/31 miles per gallon, which is completely decent for its class but not as good as the CR-V. The Honda CR-V earned five stars in its overall crash safety rating. One of the reasons? Honda offers a complete package of safety features as standard, that includes a rearview camera, the Honda Sensing system that warns you of oncoming objects, forward collision warning, automatic emergency braking, lane departure warning, lane keep assist, adaptive cruise control, blind spot monitoring, rear cross traffic alert, and road departure mitigation. It's rare to find these active safety features standard, but Honda clearly takes safety seriously. The Mazda CX-5 earned only four stars in crash test rating. The CX-5 held up well in head-on collisions but not as well in side crashes and rollover incidents. Luckily, the Mazda also offers several coveted standard safety features, such as automatic emergency braking. While the CX-5 might outmuscle the CR-5, the Mazda's cramped back seat and limited cargo room, slightly less efficient fuel use, and lower safety rating places it below the Honda in our eyes. The Honda CR-V is near the top of its class in so many of these categories that it's hard to see anyone doing much better.